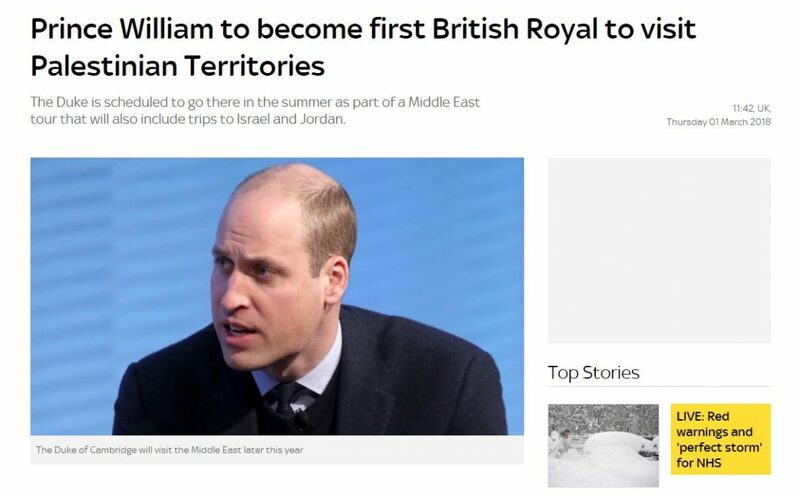 The BBC, SkyNews and other media outlets across the UK shockingly omitted Israel from their headlines about Prince William’s visit, despite the future king being set to make the first official Royal Family to visit Israel. He will also be visiting Jordan and the Palestinian Territories, but in an example of blatant bias by the media, many headlines only highlighted his visit to the “Palestinian Territories”. Some of the press went even further by referring to Palestinian Territories as Occupied. Most readers of the SkyNews report would have been led to believe that his visit excluded Israel and that it was only historic because of the Palestinian Territories. SkyNews has been biased against Israel for some time, but this latest example shows that their journalism is now completely pro-Palestinian. 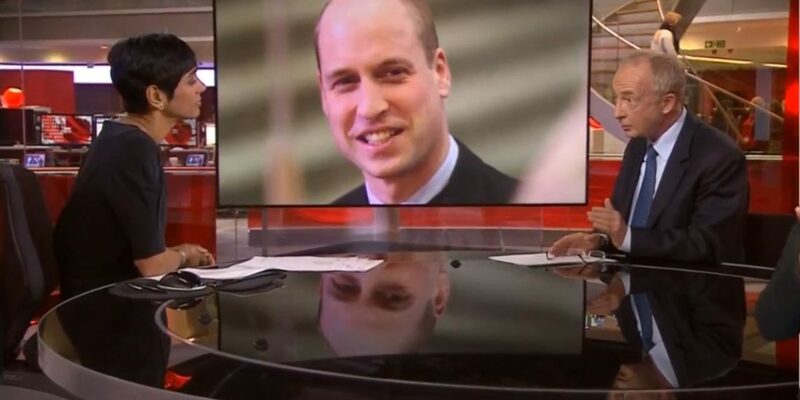 Similarly, the BBC News bulletin announced that the Duke of Cambridge will be the first member of the Royal Family to visit the “Occupied” Palestinian Territories. Sadly, this same biased phrase was used in the Kensington Palace statement itself. ITV, The Mirror and Daily Telegraph were among those that also omitted Israel. The Belfast Telegraph and Huffington Post went further by referring to the “Occupied Palestinian Territories” as well as omitting Israel. Meanwhile, the Daily Mail was one of a number of outlets that did include Israel but referred to the Palestinian Territories as “Occupied”.